Collective Trauma, the shared injuries to a population’s social life, may damage the bonds that attach people and impair their sense of belonging and communality. Whether the social disruptions are a result of war, disaster, communal or structural violence, these experiences may also affect people’s sense of being moral beings and of living as members of a moral community – what is referred to as moral injury. These challenges of conscience, guilt, witnessing and betrayal may lie at the root of addressing trauma and restoring one’s sense of humanity. This workshop will demonstrate useful clinical and community-engaged approaches based on a resilience framework. Videotapes, expressive art exercises, and case studies will be used to illustrate how this approach is widely applicable to families of various classes and cultures. Attain concepts and research on moral injury in individuals and exploring how moral injury can be a collective experience requiring collective social action. Examine of methods of working with collective trauma and moral injury in clinical and communal contexts. 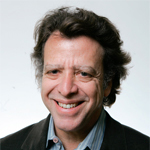 Jack Saul, PhD, psychologist and family therapist, is director of the International Trauma Studies Program and author of Collective Trauma, Collective Healing: Promoting Community Resilience in the Aftermath of Disaster (Routledge, 2013).